At Everett Dental Associates, we are devoted to providing the highest standard of dental care. We have a strong interest in understanding our patients need to be in a relaxing, and compassionate dental atmosphere. We stay current with the latest treatment techniques, materials, and emergency care through continuing education seminars and conventions. Established in 1960 by Dr. Mario C. Covino, Everett Dental Associates has a long standing rapport in the Everett Community. 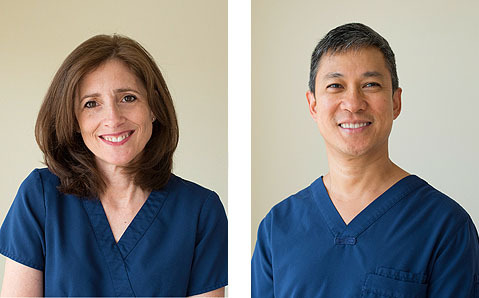 Today, Everett Dental Associates is still a family-owned and operated practice with Elizabeth Covino, DDS and Aldric Serrano, DDS providing the highest level of dental care to the Everett community and surrounding cities and towns. Over 50 years later, our dental office is still committed to maintaining the highest standards in dentistry using the latest advances in materials, equipment and technology in a caring and professional environment. Our focus on quality treatment has been and continues to be our long-standing tradition. Both Dr. Covino and Dr. Serrano graduated with a DDS (Doctor of Dental Surgery) Degree from Loyola University School of Dentistry in 1986. They are both proud members of the American Dental Society the Mass Dental Society since 1986.